Tourism turnover in the island of Tenerife grew 4.5% in 2016 to 4.3 billion euros, at a rate of 12 million a day, while the sector recorded a record number of visitors, with more than 5, 5 million people, 7.9% above the record of 2015. 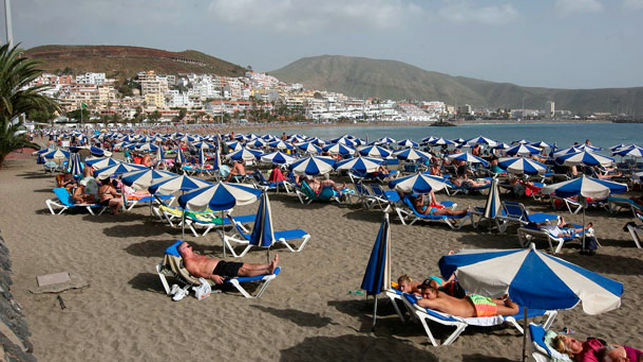 These data were presented Monday by the president of the Cabildo de Tenerife, Carlos Alonso, and by the insular tourism councilor, Alberto Bernabé, who have insisted on That although the balance is “excellent”, the island can not fall into “complacency”. By origin markets, peninsular tourism increased last year by 8.3%, to over 700,000 housed, which follows the path of recovery, while visits by other canaries contracted 14.9%, That from the Cabildo is justified in the improvement of the economic situation, which has changed again the habits in the vacations of the residents in the islands. If you add both national markets, you can see that this segment fell last year by 2.3%. In terms of foreign tourism, this rose by 11%, to 4.4 million, with a special predominance of the British market, which, despite the uncertainty of brexit, grew by 16.1%, to an “unrepeatable figure” of something more than two million, said Barnabas. 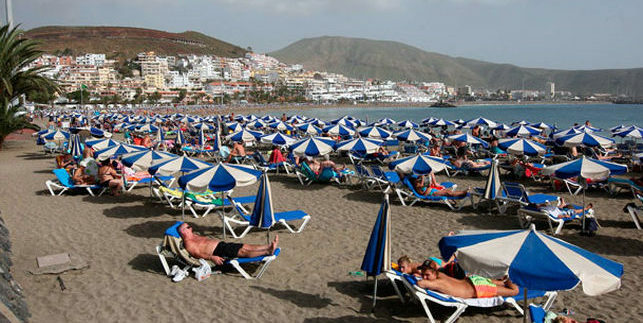 Travelers from Eastern (17.8 per cent), Dutch (+ 14.2 per cent) and German (11.1 per cent) were behind the British, while on the other Nordic countries, with a 5.5% decline, that the island’s tourism adviser associates with Tenerife’s bid for four- and five-star hotels, when that market searches for the apartment more. Hence the leadership of Gran Canaria. Tourism hosted in 2016 generated a total of 42.2 million overnight stays, 7.5% more than the previous year, and there was an occupation of 72.8% (8.3% more than in 2015). The average stay fell slightly, up to 7.54 days. Tourist spending also stood at € 1,106 per person, 3.4% less than in 2015, at € 121 per day (-1.4%), a figure that from the Cabildo is linked to the devaluation of the Against the euro at around 15% since the brexit was approved. In terms of employment, tourism sector contracting on the island increased by 14.5%, to 143.706 (18.127 more), and Social Security affiliations in the last quarter of last year, 7%, with a total of 79,964. Regarding the lack of local manpower in the hotel and hotel complexes of the island, Alonso said that the “problem” lies in the “qualification” of jobseekers, mainly due to the absence of languages, a lack that the Cabildo intends to limit to Long term with the linguistic immersion scholarships in charge of the Tenerife 2030 program. In addition, it has asked the sector to make an effort to train workers, although it has admitted that it is “natural” for many companies to opt for foreign workers because customers feel “better treated” by personnel from their country of origin. “It is part of the business and it is a wealth for the island that there is plurinational workforce,” he explained. For the coming summer, the Cabildo is expected to increase its regular air capacity by 7.1%, to 3.6 million seats at the two airports on the island, mainly in Tenerife South, with 9% more (2,753,726). In fact, 20 air connections will be opened – many started already in winter – with different points in Spain and Europe. On the quality of the destination, visitors give the island a score of 8.69 points, and especially value security and hospitality, with a repetition rate of almost 60%. Tourism Minister Alberto Bernabé admitted Monday that holiday rentals are “good” and their growth is “unstoppable”, but he refused to introduce them to tourist centers. At the same press conference, he gave as an example the “success” of this modality in Santa Cruz de Tenerife, with about 1,500 beds census, which are equivalent to three hotels. “It is allowed and the lawsuit claims it,” he said. In the case of traditional tourist centers, he said that the legislation “prevents” (it is regulated by territorial decree). The success of the tourism sector in Tenerife “is not casual” and is due to the fact that “churras con merinas” are not mixed, in relation to which the holiday rental is not authorized on residential land for tourist use. Bernabé affirmed that the Cabildo supports the current decree of the Government of the Canary Islands, although “nuances” can still be introduced. He defended that this activity be ordered “without interfering” in the conventional tourism format, in line with what is defended by the Tenerife employer Ashotel.